Conveniently located at 5025 Fayetteville Rd, Fairburn, GA, Lean Supply Solutions’ Atlanta warehouse is situated within close proximity to multiple exit routes, such as airports, highways, and even sea ports, which makes it an ideal location for logistics and warehousing solutions. Considered one of America’s top five logistics cities, locations for warehousing and distribution in Atlanta include superior highway access to the U.S. market, a tax-friendly business environment, an abundance of skilled workers with relatively low wages, and growing port connections to the world. 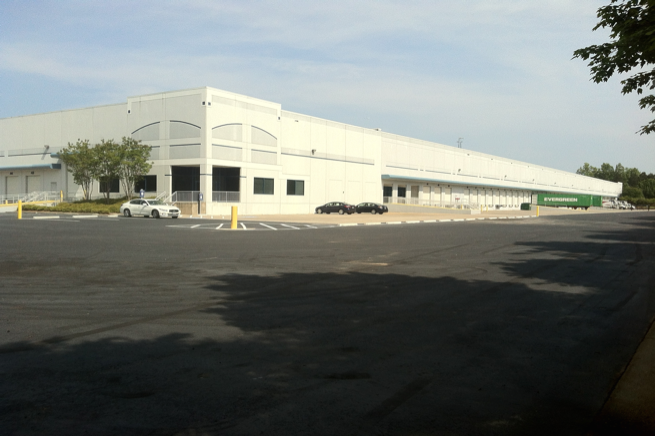 Georgia provides 800 million square feet of space for warehouse distribution, and Lean Supply Solutions has taken the opportunity to offer value-added services to Atlanta. Georgia has an outstanding transportation infrastructure and convenient building availability, making it unbeatable for warehousing and distribution services. Additionally, the city of Atlanta has the sixth largest warehouse distribution market and is the second most affordable in Georgia. For contract logistic services in Atlanta, and supply chain management in Atlanta, Lean Supply Solutions delivers. As a third-party logistics provider, we use a Lean Methodology to help clients by overseeing all elements of the supply chain. We have a unique set of tools and processes to facilitate end-to-end return management processes for e-commerce orders, making it that much easier to get the right “fit.” Our 3PL logistics in Atlanta bring a variety of services to customers, including: logistics, technology, warehousing and distribution, e-commerce fulfillment, product fulfillment, pick-and-pack, and order fulfillment. Lean Supply Solutions even provides fourth-party (4PL) contract logistics in Atlanta and across North America using a unique blend of lean processes, competitive IT systems, and world-class quality systems to add value for clients. The guiding principles include: lean methodologies, continuous innovation, next-generation supply chain and IT solutions, quality-driven procedures and processes, and quantifiable results for continuous improvement. For more information about our Atlanta location, please contact us at 1-(844) 310-5252. Amerman, D., “Top 5 U.S. Logistics Cities,” Supply Chain Digital, June 21, 2013; http://www.supplychaindigital.com/logistics/2913/Top-5-US-logistics-cities#. “Warehousing and Logistics,” Select Georgia, last accessed January 16, 2017; http://selectgeorgia.com/publications/WarehousingandLogisticsIndustry.pdf.